The Church of Jesus Christ has no hierarchy, clergy, or even formal leadership. Members come together and form their own churches, and these churches are basically entirely autonomous. To operate, the churches rely on donations, but the Church’s doctrine proscribes accepting donations from individuals who are not local members. The Wilkeses belonged to the Westside Church of Jesus Christ in Golden, Colorado. In 2005, they gave money to three missionaries, who were starting churches in Michigan, in North Carolina, and in South Africa. When the Wilkeses filed their 2005 tax returns, the claimed charitable deductions for the amounts they gave the missionaries. Which is where we run into the Mormon church. I’ve blogged about the Davis case in the past, but a quick tl;dr refresher: Prior to 1990, Mormon missionaries (or, often, their families) paid the actual expenses for their missions. Some parents deducted the amounts they sent to their missionary children, and they had a colorable argument for doing so, an argument so colorable, in fact, that two of the three Courts of Appeals that ultimately heard cases on the question held that those amounts were deductible. But the Supreme Court thought otherwise, and ruled that donations made directly to missionaries were not deductible. Davis would appear to have foreclosed the ability of the Wilkeses to deduct their donations. The Tax Court recognized a significant difference between pre-1990 Mormon missionaries and 2005 Church of Jesus Christ missionaries, though. While the pre-1990 Mormon missionaries were performing service for the church, they had ultimate control over the money they received. Sure, they had to account to their mission presidents for it, but if they wanted to spend it on video arcades and junk food, the mission president didn’t have any real legal authority to prevent that. In the case of the Church of Jesus Christ, though, the missionaries acted as conduits (or, better, as agents of the church). For doctrinal reasons, the churches couldn’t directly accept the Wilkeses’ donations. But if those donations first went through missionaries (who were members of the local congregation), the churches could accept the donations. Because the transaction was, in substance, a donation to a church, the Tax Court treated it as such for tax purposes, and, rather than looking at whether the missionaries could receive deductible donations, it looked at whether the churches could. And the two U.S. churches could. For U.S. tax purposes, though, donations to foreign charities (including foreign churches) are not tax-deductible, so they could not deduct the amounts they gave to the missionary in South Africa. And, with that, have a happy Tax Day! [fn1] Yes, I know it’s not April 15 anymore. 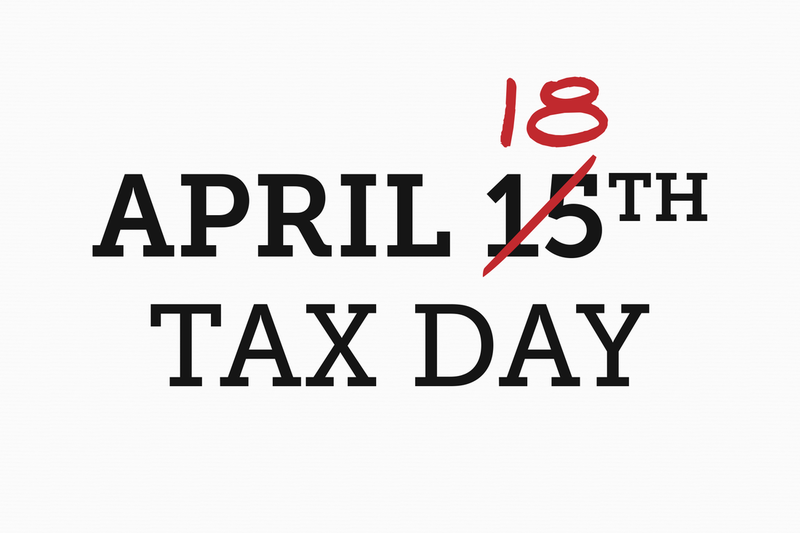 When April 15 falls on a weekend, Tax Day is the Monday after the weekend. Except that Monday was Patriots’ Day, a holiday in a handful of states, so Tax Day was pushed back one more day. [fn3] I’ll say more about the book, tentatively titled God and the IRS: Accommodating Religious Practice in the Tax Law, later; I’m not entirely sure when it will be published, though I think it’ll be early 2018. PURSUANT TO INTERNAL REVENUE CODE SECTION 7463(b),THIS OPINION MAY NOT BE TREATED AS PRECEDENT FOR ANY OTHER CASE. wreddyornot, I’m not sure what your point is. Of course the decision isn’t precedential—it was a summary decision, decided under a special small case provision of the Internal Revenue Code. The law says that when the parties have elected to proceed under section 7463, the decision is both unappealable and is nonprecedential. That doesn’t mean that it’s wrong, though. In this case, it is certainly the right decision. Sam, perhaps more than you want to get into for an “obligatory” blog post, but I think you make (too) short work of a difficult distinction. As I read Davis and Wilkes (opinions only, no background or additional facts) in both cases the court concludes that the donations or gifts are not “for the use of” the church, and instead the difference in result turns on the meaning of “to the church.” In both cases money is given to the missionaries who have substantial discretion about the use of funds. In the language of Wilkes, “to support the recruitment of new members, to purchase and provide religious education materials, and to provide for the basic financial support of the Missionaries.” If I were arguing the case, I could make a similar sounding statement about Mormon missionaries. The missionaries are required to report in some detail. In Wilkes this is enough to find an agency relationship. In Davis it was not. It is not at all clear to me that these cases are distinguishable. For the same reason, it is not clear to me that either one is obviously right (or obviously wrong). These cases may in fact be distinguished by very narrowly different facts, by better or worse lawyering, or by relative visibility. Christian, in spite of blogging on it today, I haven’t read the case in a year or do. Iirc, though, Davis pointed out that the Mormon missionaries largely used the funds they received for personal consumption (living expenses and the like–again, iirc, one bother bought some tracts, but the other didn’t even do that. In the Wilkes case, I don’t remember personal consumption. And the court cared about the church’s doctrinal prohibitions. But I’ll have to look again. My view is that the opinions alone are too scant on facts, and too result oriented in the writing, to come to a firm conclusion. Regardless of what you think about Davis and Wilkes, the agency question is fascinating, and likely to have some interesting play in First Amendment issues. The Newsroom probably is an agent. BCC probably is not. What about Deseret News? Is the BYU president an agent for the Church? Does it matter whether the president is a general authority? What about a BYU professor? Is a gift to BYU a gift to a school or a gift to the Church?